The John Wick sequel that comes out next week follows up on the events of the first film. But, according to a report in /Film, director Chad Stahelski and screenwriter Derek Kolstad have designs to go back in time with the character. They reportedly are interested in doing a prequel TV series, which we assume would chronicle John’s early assassin days before he settled down down with his now-dead wife (Bridget Moynahan). “We basically almost have a prequel written, but we’d save that for other aspects of the property,” Stahelski told Slash Film. 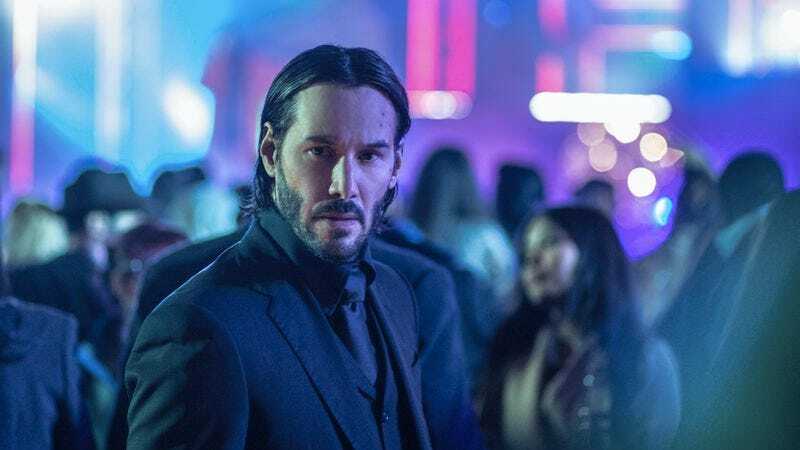 “Lionsgate is very interested in doing a John Wick TV show, and that seems very appealing to us, to give those creative ideas to that entity, because I think in TV you could really expand on what that is, and greater than we could in just a two-hour film.” Considering Keanu Reeves doesn’t age, sticking him in a show that takes place years in the past won’t be that much of a problem, if they choose to do so.